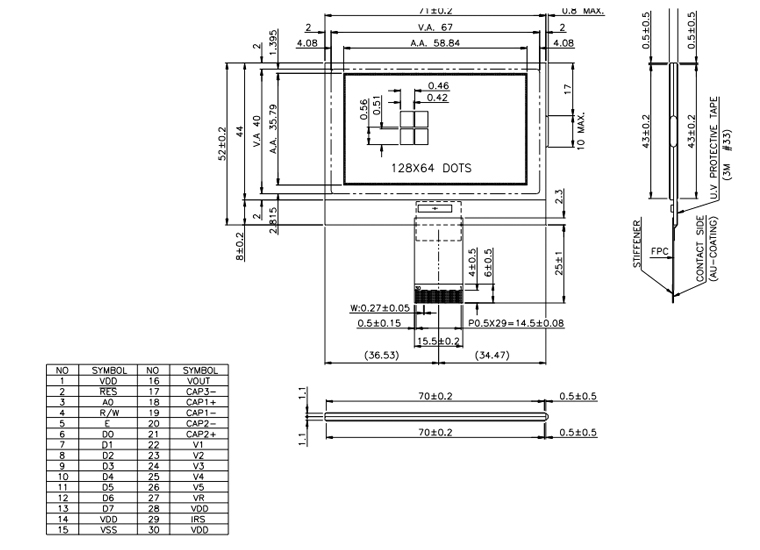 This library was originally made for the LCD WT-128x64 Graphic monochrome display modules. They were available without backlight from ITead Studio, or with or without backlight from ElecFreaks. 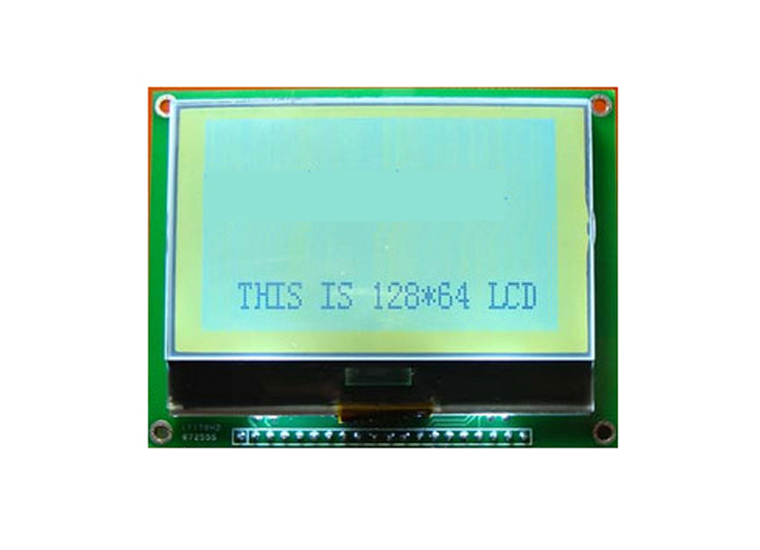 The LCD WT-128x64 Graphic (GPG12061YN3) is a 128x64 dot-matrix LCD module. It has a Yellow mode STN panel composed of 128 segments and 64 commons. 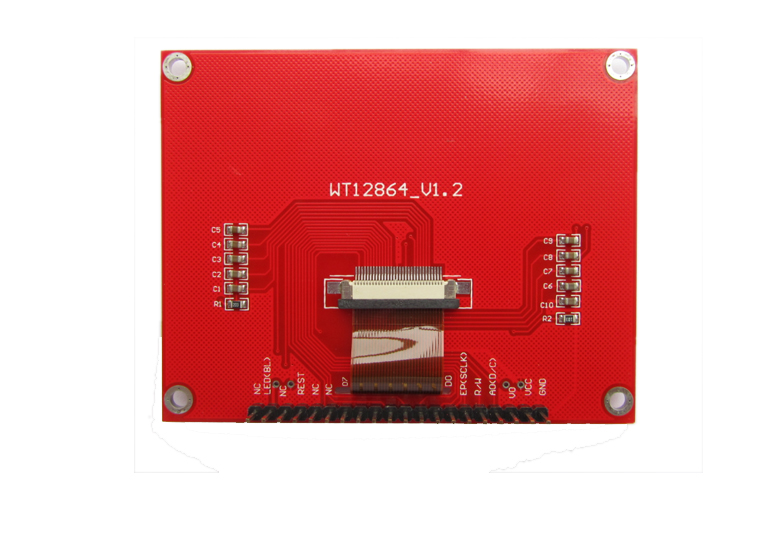 The LCM can be easily accessed by microcontroller via parallel 6800 series interface. When connected to an Arduino the Vcc should be connected to 3.3v, but the rest of the pins are 5v tolerant. 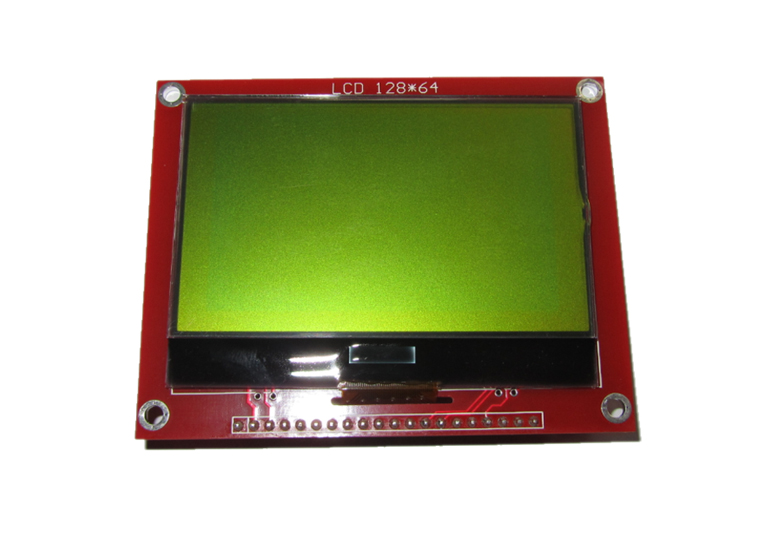 When using the backlit version you should connect LED to 3.3v.